As a US Citizen you do not need a Schengen Visa or the associated Schengen Travel Insurance. However, please read on, as it can be a little more complicated. At AardvarkCompare many of our customers make inquiries about a Schengen Visa each year. In 1985 a small group of European countries decided to work towards border-less travel between European countries. This agreement was signed in Schengen, Luxembourg, hence the name of the agreement. We will cover the Schengen Zone, Schengen Visa, and Schengen Travel Insurance in this article. So, now you know why it is called Schengen! Political agreements in Europe are often named after the town in which they were signed. Under the Schengen agreement, you can transit from one country to another within the Schengen area without border controls. If you are required to apply for a Schengen visa, you will be able to visit all the countries in the Schengen area and cross internal borders without further immigration formalities. However, travelers should be careful. The European Union and the Schengen area are two different zones. The list at the bottom of this article will enable you to see the difference and check whether the countries where you are planning to stay are all in the Schengen area. Note that the UK (England, Northern Ireland, Wales, Scotland) and Ireland are not part of the Schengen zone. European Travel – I am a US Citizen – Do I Need A Schengen Visa? Citizens of a small number of countries, including the USA, do not need a Schengen Visa. This assumes that the nature of travel is for business or leisure, and that the trip is for three months or less. As such, they may travel freely between any of the 26 Schengen countries. European Travel – How Long can a US Citizen Stay in the Schengen Area Without a Visa? If you are a US Citizen with a valid U.S. passport, you can stay up to 90 days for tourism or business during any 180-day period. Should you wish to return to the Schengen area you need to wait an additional 90 days before applying to re-enter the Schengen area. If you wish to stay longer than 90 days you must have a visa. You should apply for a visa through the embassy of the country where you will spend most of your time. Non-US Citizens – European Travel – Do I Need a Schengen Visa? Citizens of most countries will need a Schengen Visa; the list of these countries is at the bottom of this article. Citizens of countries not listed do not need a Schengen Visa in order to visit a Schengen country. However, citizens of a smaller number of countries, including Argentina and Brazil, are exempt from Schengen Visa formalities, but must provide proof of Schengen travel insurance. Schengen Visa – Do I Need Schengen Travel Insurance? If you are a citizen of a country referred below as a Schengen Visa Country or a citizen of Argentina or Brazil, you will need Schengen Travel Insurance. So, what is Schengen Travel Insurance? Schengen Travel Insurance refers to the minimum level of trip insurance that is deemed acceptable to gain access to the Schengen area as a visitor. Note that this is minimum Schengen Trip Insurance. It is not a level of European trip insurance that we would recommend. The minimum level of cover necessary under a Schengen Travel Insurance is €30k in Medical Cover and emergency repatriation cover. We would never recommend such low cover levels on a travel insurance for Europe. Our recommendation is that no less than $100k of Emergency Travel Medical Insurance is purchased. Many European private hospitals are world-class. The European health care system is not free to visitors. Emergency Medical Evacuation Cover should be at least $100k. However, we would prefer to have $250k in cover so as to allow for some of the more expensive private jet evacuations, if required. Can you recommend the Best Schengen Travel Insurance? Our Schengen Travel Insurance Review is fairly simple. 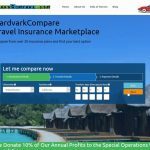 First and foremost, we suggest that you run a travel insurance comparison search through our AardvarkCompare engine. You will get a range of options to choose from for your trip. It is possible to buy cheap Schengen Travel Insurance, but our recommendation is to shop a little smarter. 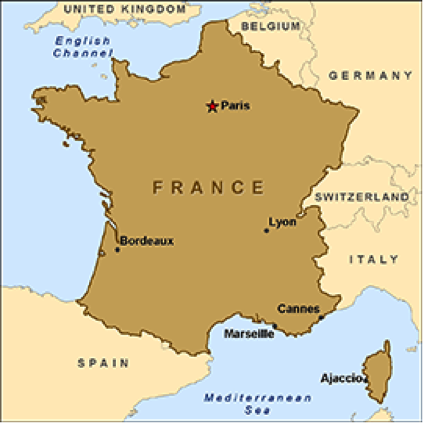 Our traveler is heading to France in May for a week. She is being hosted by a French family, so only has the airfare of $950 in terms of costs. She looks for some cheap Schengen Travel Insurance and runs a search with us. Remember, there is no obligation to buy Schengen Travel Insurance if our traveler is an American. However, we strongly recommend the purchase of a trip insurance, if only to cover medical and evacuation costs. Also, note that every trip insurance we offer at Aardvark covers the Schengen Visa requirements. The cheapest Schengen Travel Insurance we can find is the RoamRight Essential trip insurance. RoamRight is one of our oldest travel insurance partners, and we are always happy to recommend its policies. For only $27, the RoamRight Essential policy is offering $15k of Travel Medical Insurance and $100k of Travel Medical Evacuation protection. So, Should I Buy the Cheapest Schengen Travel Insurance? 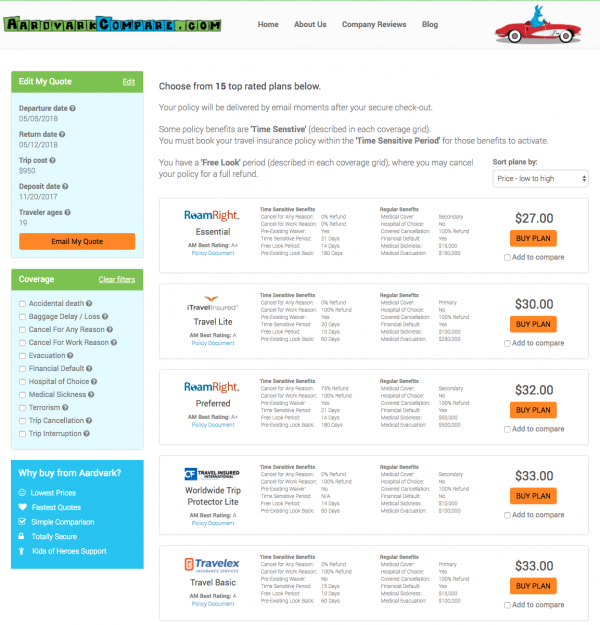 The joy of running a travel insurance marketplace is that we can very quickly compare cost and cover. This is super-important for a traveler. Whilst we are always looking for low cost, arguably we are trying to find the best Schengen Travel Insurance. Sometimes this isn’t the cheapest. Often, we can find much more cover by only paying a few dollars more. Take a look at the iTI Lite plan. Now, at $30 it is a few dollars more than the RoamRight Essential trip insurance. This is really good cover, but is it the best Schengen Travel Insurance? We like the additional medical evacuation coverage that the iTI plan offers. However, for getting out of Europe it is probably not relevant – we think that $100k is sufficient medical evacuation insurance. The $250k in evacuation cover that we get from the iTI Lite plan is massive. Hospital of Choice is important for many travelers. We highlight this in each trip insurance quote that we run. It is great that your travel health insurance can cover your costs. After all, the financial obligation could be substantial. But many of us would also like to be able to choose the medical facility that we are treated by, rather than being forced into the nearest one. The iTI Lite plan offers hospital of choice. We should add that we would always wish to take the advice of the Travel Insurance Assistance Services when it came to choice of hospital abroad. The Travel Assistance team will be the most knowledgeable in terms of finding you the best medical facility for your treatment. The best Schengen Travel Insurance is going to offer Primary health care coverage, rather than secondary. 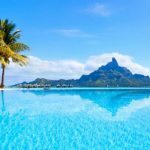 Why do we like Primary Travel Health Insurance? Simply, the Travel Insurance Carrier will take the financial responsibility with the hospital off your hands. They will set up direct billing from the hospital to the insurer. We think that this takes such a burden off a traveler that we recommend it always. Should you get Schengen Travel Insurance then we suggest you look for Primary Medical Cover. This is where we think the iTI Lite plan really stands out. It is rare to see such a cheap Schengen Travel Insurance with this much Travel Medical Insurance cover. We never recommend less than $100k of cover. The Schengen area has world-class hospitals. As, of course does the non-Schengen part of Europe – including the UK and Ireland. But each country within the Schengen area is going to charge for the full cost of treatment in their health care facilities. Please, take our advice, and travel with at least $100k of medical cover. Can I Buy Schengen Travel Insurance for Someone Else? One of the more frequent questions we are asked is whether I can buy Schengen Travel Insurance for someone else. Thankfully, the answer is yes, of course you can. Much of the time, it is not the traveler themselves who is buying Schengen Travel Insurance, but a friend or family member. 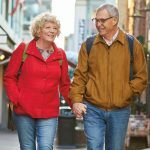 We know that this is a concern for parents and grandparents when their teenagers and college-kids start traveling internationally on their own for the first time. Whilst you cannot always be by their side, you can ensure that they have cover and buy Schengen Travel Insurance for them. These issues are covered in this excellent article. We also look at this from a practical point of view. 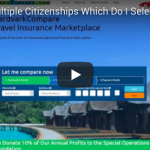 We would much prefer to spend $30 on a cheap Schengen Travel Insurance policy than have to sell or mortgage our possessions to cover medical bills. Have at least six months’ validity remaining on their passport whenever they travel abroad. Check the expiration date on their passport carefully before traveling to Europe. Carry their passport with them at all times. At AardvarkCompare, we find this European Travel Advice from State Department to be overly cautious. Now, we have staff members who have lived in a multitude of European countries, so perhaps we have more familiarity. But, we would never recommend that a traveler carry their passport at all times. It is such a precious document, and so problematic to have replaced. Our advice is to keep your passport somewhere safe – in a hotel bedroom safe, for example. Your state driving license will be perfectly fine to identify yourself, in the unlikely event that you need an ID document. Be denied entry when you arrive in the Schengen area, regardless of the duration of your stay. What Does a US Citizen Need to Enter the Schengen Area? A U.S. passport (with applicable visas, if needed), valid for at least 90 days beyond your intended date of departure from the Schengen area. 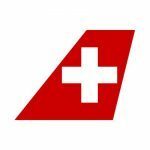 Compliance with any other entry requirements for each country you will visit or transit. What Does a US Citizen Need When Traveling Within the Schengen Area? Ensure that immigration officials stamp your passport upon entering the Schengen area. This proves you have legally entered the Schengen area. Ensure your passport is stamped when you exit the Schengen area. Normally, you do not need to show your passport at internal border crossings while traveling within the Schengen area. However, you should carry your passport with you when making border crossings. Safe Travels with your Schengen Visa and Travel Insurance!